Having spent years anticipating the day I could finally watch The Tree of Life, I was privileged a few weeks ago to be able to see it. At the time, I felt a bit shell shocked by the film. It's not that it isn't what I expected at all - I love Malick's filmmaking, and I expected the sort of movie that I saw. I guess I just felt a bit speechless. And so my "review" of the film after the fact was sort of a series of scattered thoughts. Today, I wanted to go back and paint my impressions of the film with a bit of a broader brush. Every frame of the movie is worth talking about. Whether it is the beautiful sorrow of the opening minutes of the film as Mr. and Mrs. O'Brien discover that their son (now grown) has died, whether it is the stunning creation sequence which stretches on for at least twenty minutes, or whether it is the somewhat enigmatic closing minutes of the film - this is a movie that is absorbed and not learned or studied. 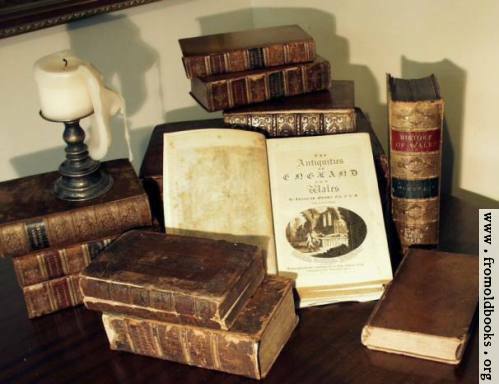 I have said before that if you want propositional content spoon-fed to you, we have theological tomes, sermons, and helpful commentaries on Scripture galore. This is not the primary purpose of art. Art is there to remind us of the value of the propositions which we have already learned and to cause us to treasure them more deeply. Many Christians will be tempted to enter the thoughtful environment of The Tree of Life expecting a certain level of propositional truth - and they will be disappointed and probably confused. In the end, TOL is not about telling us the truth so much as it is about soaking us in the weight and beauty of the universe so that we realize that it is the big picture reality which permeates everything we do - from childhood to death. Most of society is geared towards making us forget this. We live in a loud and distracting society, and in a way, TOL is a picturesque reminder of the glory all around us that we drown out with pop music, comedy, explosions, politics, and other pursuits. What TOL reminded me of is how easily I forget the things which first drew me to the Christian faith. Meditating upon creation, eternity, the nature of God, the depth of human sin, our serious need of a savior, and the guilt which follows all of us and which mankind desperately struggles to part ways with. This film, in many respects, rekindled my awe and wonder at the Creator which I felt after I first read Ross' book and I first believe that God really was the Creator and Maker of all things. Sometimes, all we need is a reminder - and if there is one thing that sums up TOL it is the notion of reclaiming memories. The whole film drifts towards us like a series of recollections trying to be grasped at, but remembered somewhat inaccurately (think of the scenes where Jack remembers Mrs. O'Brien as literally floating on air as she dances in the family's front yard). Even the scenes of the Creation represent the memories of the Creator (or maybe Jack's own imagination of the creation - things are somewhat ambiguous), showing us an event which only the Godhead was present to see in the moments of first light when the universe came into existence from nothing, when God "laid the earth’s foundation . . . while the morning stars sang together and all the sons of God shouted for joy." Memories are important because they are rooted in the truth, and they are the ground of who we are and where we came from. Even the opening chapters of Genesis are God taking His memory (if we are permitted to anthropomorphically refer to an atemporal Creator as having a memory) and telling us in words which He knew we could comprehend, how it was that He did all of this. All of this description of the film is a grasping at straws, really. Rather than summing up the story of the film, I hoped in some measure to communicate the deeper ideas and emotions which the film communicated to me. Everyone will respond differently to the film. In fact, I'm rather enjoying reading the myriad of reviews for this film which have been popping up online, because the film is so open-ended and aesthetic that nearly every reviewer has a different take on the movie. Has it dethroned The Thin Red Line as my favorite movie of all time? We'll just have to see. The biggest test is whether I will still love it a decade from now, as I still do with The Thin Red Line. Interesting review, Adam. 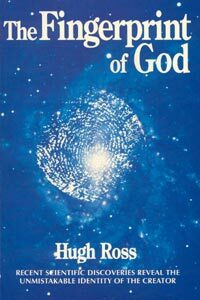 Interesting also that Hugh Ross' book was used by God to bring you to Him. For that I am thankful. However, there are many errors in Dr. Ross' writings. Jonathan Safarti wrote a book a few years back called "Refuting Compromise." It is a YEC response to Ross. You may be familiar with it. I read it, and it's a pretty complete response to Ross' views about the age of the earth, from the standpoints of science, Scripture, and the church fathers. Actually, John, Dr. Sarfati was at our church two weeks ago for a creation conference which we hosted. Having only listened to his presentations at our church and having not read the book, I was not persuaded by Dr. Sarfati to change my views on the age of the universe (the presentation was too cute and superficial, which is probably why reading his book is a better idea). However, having said that, I do not follow Dr. Ross' Day-Age model any longer. I look at Dr. Ross' book as the thing I needed at the time to realize I was suppressing the truth in unrighteousness. Where Have All The (Natural) Lawmen Gone? "Not to us, but to Your Name be the Glory..."
Is Natural Law Clear Enough To Teach This? Which Party Would You Rather Attend?